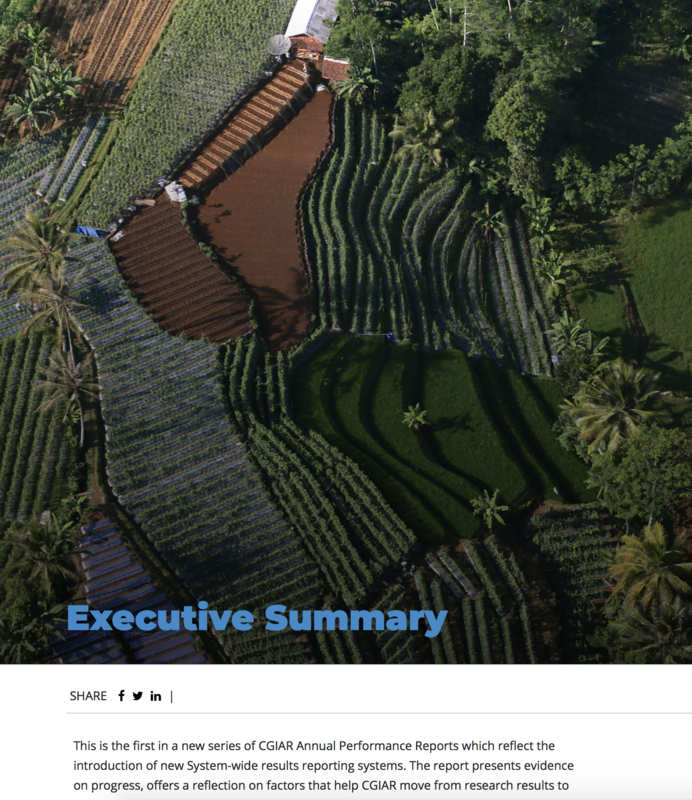 The CGIAR Platform for Big Data in Agriculture was launched in May 2017, following nearly two years of consultation with private, non-profit, and public stakeholders in digital agriculture worldwide. The Platform is designed to leverage e-research and build new data-driven impact. Specific platform aims include: mobilizing CGIAR data to accelerate research and spur new data-driven innovations, building data collaboration across the organization and with the wider agricultural sector, and leveraging CGIAR expertise while claiming a unique leadership voice in digital agriculture. 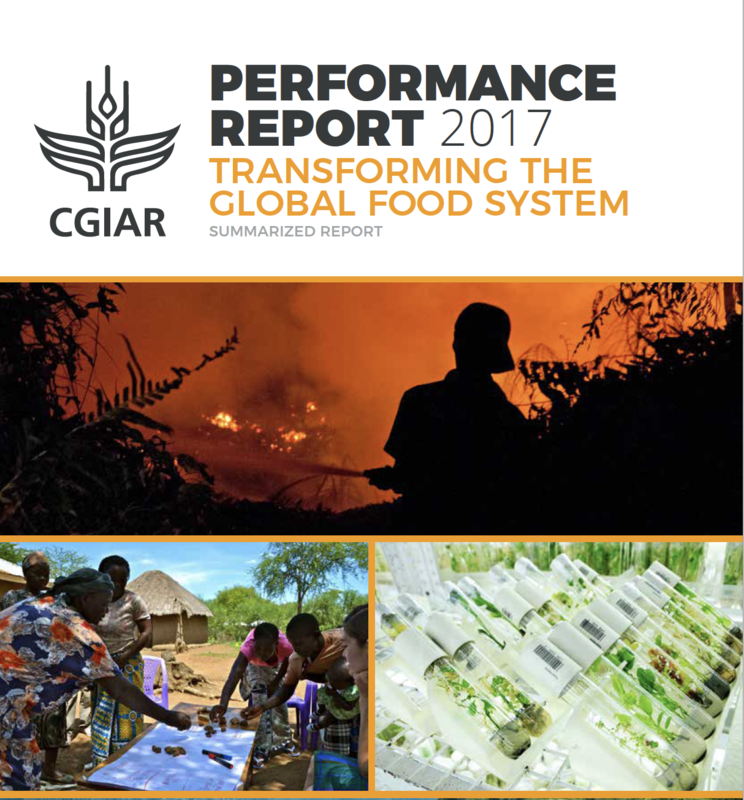 Technical guidance (including data management support packs) and seed funding issued to CGIAR Centers to implement CGIAR’s Open Access and Data Management Policy. This contributed to a significant increase – of 10% or more at most Centers – in the number of public datasets and publications made available via their data repositories. Launch of a prototype data search tool, ‘GARDIAN’, enabling any user to search for available CGIAR publications and datasets across more than 30 open databases system-wide. Communities of Practice established for six key areas for data-enabling food security research: socioeconomic data, geospatial data, data-driven agronomy, crop modelling, livestock data for decision-making, and data ontologies. The first annual CGIAR Convention on Big Data in Agriculture, convened in Colombia and attended by around 300 global innovators, researchers, and thought leaders from public, private, and non-profit partners, who agreed on an action plan. Launch of an open innovation process called the Inspire Challenge, which attracted submissions from 120 teams from 37 countries. The aim is to apply data to help solve development problems faster, for less money, and more efficiently. External expert judges chose five teams to receive start-up grants of USD 100,000 each in support of leading-edge applications of data, including in-field disease gene sequencing and identification, social media-enabled animal health, and intermediating a whole market system via mobile phones. The Platform’s activities were funded almost entirely by CGIAR Trust Fund Windows 1 and 2.